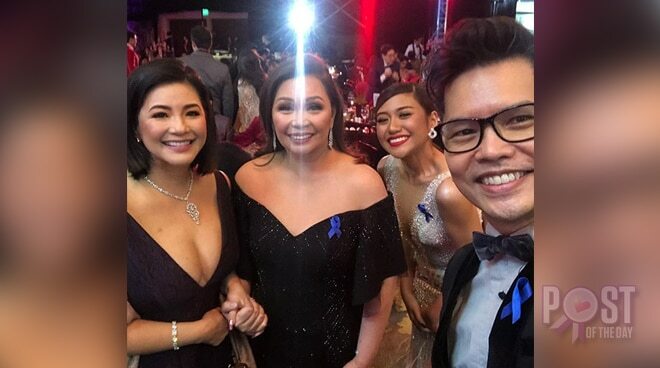 Regine skips the red carpet but is spotted partying with Kapamilya stars at the ABS-CBN Ball. She may have avoided the red carpet, but Regine Velasquez was definitely present at the ABS-CBN Ball. Rumors about her network transfer were further fueled when she was included in a photo by talent manager Carlo Orosa together with ABS-CBN officer Cory Vidanes and singer Morisette Amon on Instagram. Regine's husband and Kapamilya star Ogie Alcasid walked the red carpet with daughter Leila.